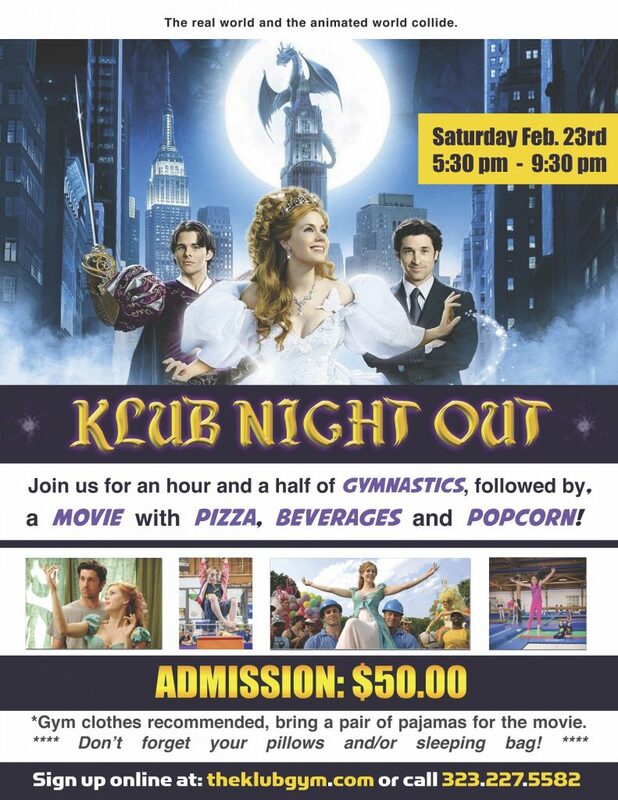 The Klub Gymnastics’ popular monthly Klub Night Out event will be taking place on February 23rd, 2019. LOS ANGELES, California; January 17, 2019 – You’ve heard other parents say they can’t wait for KNO, but what is KNO? Klub Night Out a.k.a KNO at The Klub Gymnastics, is everyone’s solution for a fun evening out! Parents get to enjoy a night off, while children get to enjoy four hours full of fun! Children run, tumble, and bounce for an hour and a half of open gymnastics in our full service gymnasium, followed by a movie with pizza, a beverage and popcorn. The cost for parents is less than a babysitter and twice the fun for kids! Klub Night Out is a monthly event that runs from 5:30 pm to 9:30 pm for children ages four and above (members) and five and above (non-members). 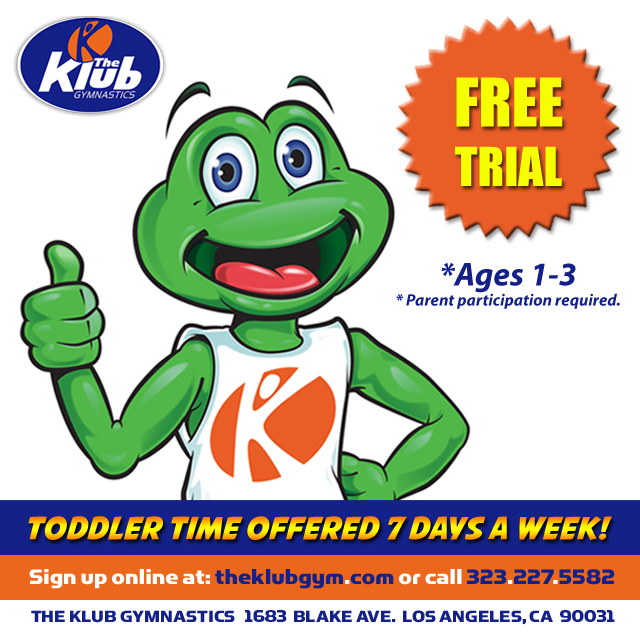 KNO begins with an hour and a half of gymnastics so your child should wear clothing that will not restrict movement. Pajamas to wear during the movie, a pillow, blanket and sleeping bag are all optional and encouraged. TKG will provide pizza, a drink and popcorn. Children are welcome to bring their own food. TKG is a glass-free facility and orders cheese pizza from Pizza Hut. Be sure to arrive promptly at the start time. Our front doors will be locked once program begins. If you need access, please call the number posted on the front door.